London’s Round Chapel in Hackney is an awesome place! 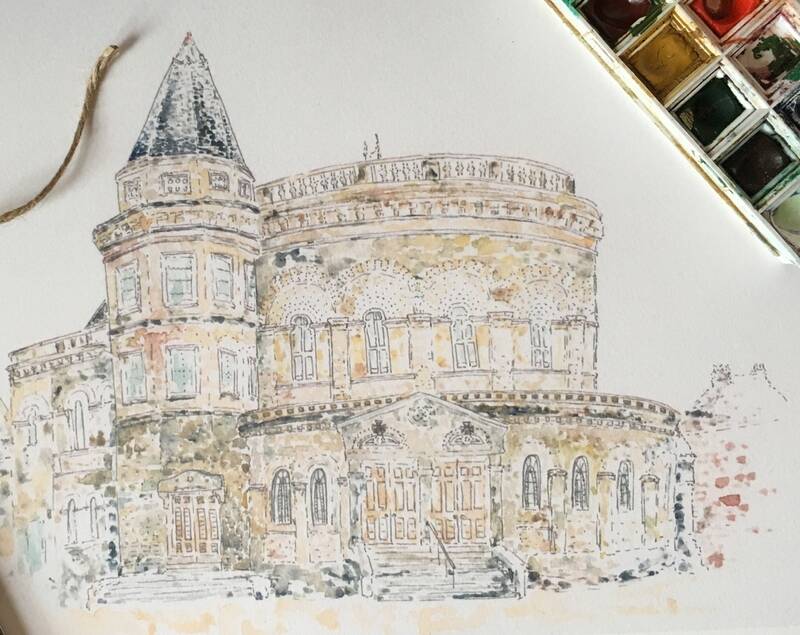 Beautiful architecture and an amazing venue makes it a popular wedding destination. And this bespoke print makes a wonderful wedding gift! 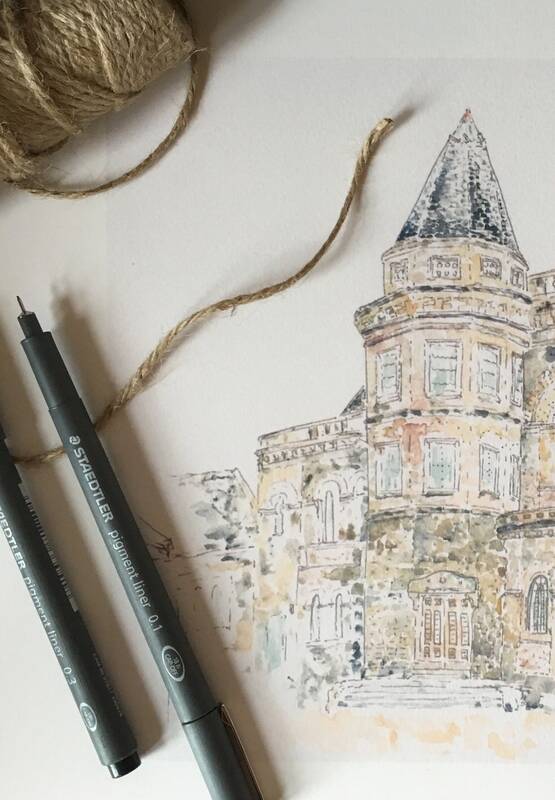 I captured this delightful music and wedding venue using black ink, before adding a splash of colour and texture with watercolours. This is a high quality digital print of my original painting, using HD inks. 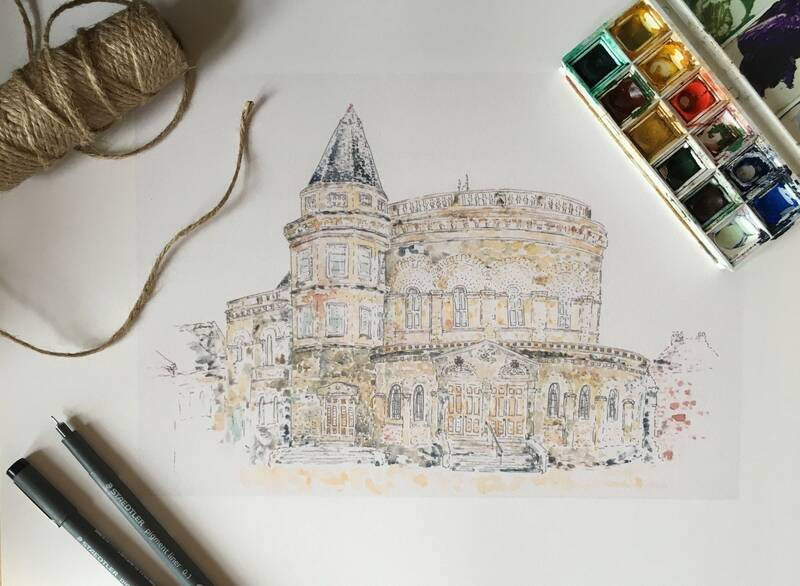 If you fancy a bespoke illustration of your own special place, I have a separate listing in my shop! Hand lettered text, such as names or a specific date can be added to the venue artwork too. Just drop me a message and I will happily add them on at no extra charge. The Round Chapel print is printed on acid-free, PEFC (happy planet! 🌱🌏), 250gsm white, grained paper. 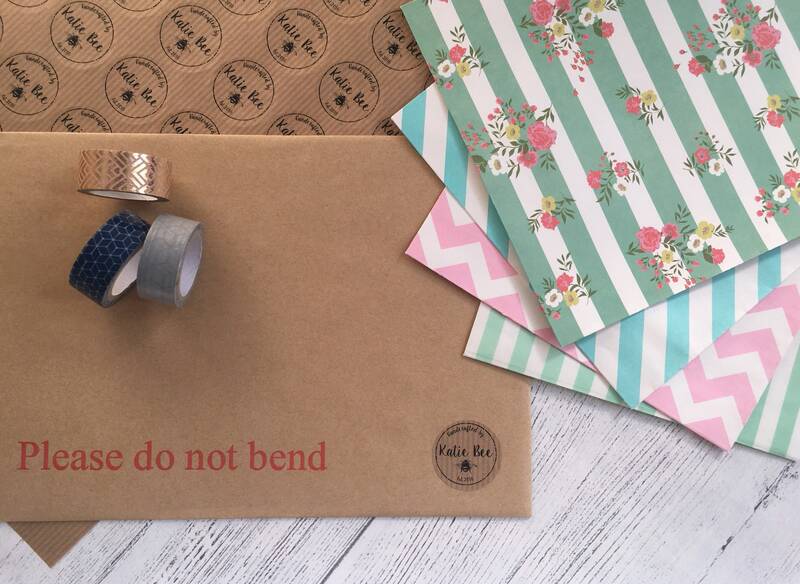 It comes packaged carefully in a cellophane wrapper with grey board to ensure it travels safely to you.